Your recipes are so wonderful – food I used to eat at home at my granny’s and mum’s homes, bringing back memories of old. Keep up the good work. Praise God for your recovery from breast cancer. I have at least 5 friends who have recovered and already past their 5 year remission. Count each day as a blessing. You already have by putting all these recipes online. God bless. Thank you so much for your encouragement. I’m so glad you like the recipes and I also hope it would be appreciated by the children who are overseas too. Thank God for His abundant blessings and when I count my blessings I always count you twice. God bless. can you give me the recipe for pandan cake.. i’ve been searching in the internet but could’nt find the recipe that i like.. thanks! I’ve published your favourite recipe, hope you’ll like it. This is indeed a great site with fabulous recipes . Are all the recipes here tried n tested recipes by you. Which country are you from? Heard about your blog thru a friend in Hawaii. You are doing a great job in sharing all these little treasure of yours. My grandma was an awesome cook but none of the family members know how as it weren’t imparted. I really appreciate your generousity. We have got a friend who make it thru 5 different types of cancers and he is looking fabulous now. Have faith and HE will watch over us. Thank you for your encouragement. It sure takes a lot of courage and strength to become a cancer warrior. It gives me much joy to be able to share and care for others. The recipes posted are either from my own kitchen or contributions from my mum, sibblings or friends. Hope you will enjoy trying them out. Your recipes are wondeful. Easy and good. Do you have a recipe for teochew kueh and Ang koo kueh? Since you are interested I’ll post the recipes. Hi Rose, Thank U very much for posting the two recipes. I will definitely try it. U r very generous and I am sure God will always watch over U. Have faith. Thanks Shirley. God bless you too. I used to make the ang ku kueh, its very nice. As for the png kueh, my son’s nanny used to make them. For these types of dough, sometimes we may need some adjustments and practice to get the right texture. You are a godsend! I’m a Malaysian living in Australia and I miss the food terribly. When we do buy the food, it’s not as nice so I thought I’d try and make some of yours. Brought me right back to my childhood when I remember going to kindy with a piece of kueh lapis kukus with my nanny to keep my happy! The Kueh Lapis Kukus is worth trying if you have the patience. My neighbours were always very happy whenever I treated them to homemade kueh. I’ll try to post some of our favourite recipes. Thanks for that! I did try to make it last week and it went down a treat, especially with mum and her friends! Can we request certain recipes? I love it how your recipes are easy to follow and have easy to find ingredients (the one I had in mind was Kueh ko sui). I’ve posted the Kueh Koswee recipe. Try and see if you like it. Do you have the recipe for prawn soup noodles. I love prawn soup noodles too. Ok, will post the recipe over the weekend. we r having a party for my daughter’s birthday next week (27th May)…i’ll cook for our guest, but i can’t find a nice recipe for vegetables. Can u help? Thanks! you can try Fried eggplant(aubergine) with dried prawns sambal if you want something spicy. Fried cauliflower and broccoli with mushrooms will be a healthier choice. Adding some carrots help make the dish more colourful and attractive too. Anyone who have better ideas, please help reese. I want to thank you for your generousity to giving out many good recipes. I appreciate that. BTW, do you have Chinese sausage recipe? the one that is selling in Asian market that we usually mix with rice and other cakes filling? My daughter likes this kind of sausage very much so I want to make it for her. Thanks. Do you mean the waxed sausage? I learnt making that many years ago. Let me check and see if I still have the recipes. I don’t remember the name but I know for sure it has the first word is LAP….. The Lap Cheong we often see in claypot rice, fried rice, steamed yam cake, char kway teow. ok, I’ll search for it. Oh yeah Rose, its name is Lap Cheong. I’m so glad you give the right name that I have tried to remember. Thanks very much and waiting here for your recipe. Thanks for your suggestions. Fried brocolli, carrots and mushrooms is just nice! Is it just add garlic and oyster sauce? Anyway, can i cook it with the claypot? I think it’ll look nice when i serve in the claypot…right? I find it amazing how one can be so strong and positive about life when they r faced with such threatening illness. and how being that way actually turns out to be the cure for it. so proud of you and god bless u always. have a good day, rose. take care. do u by any chance have the recipe for carrot walnut cheese cake?? appreciate it. tq. Congratulations Violet! I pray for our Lord to bless you with a very Happy and Sweet Marriage. I do not know where you will be moving to but if you miss any recipes, you are always welcome to write to me. I would love to put up some colourful pictures too, hopefully it will be up soon. I remembered ever making a nice carrot walnut cake but not with cheese, see if I can get one for you. Hi Rose. Thank u for your wishes 🙂 I will be moving to london. Everything is expensive over there, isn’t it? M not sure if I could get all the stuffs easily in the Chinatown. Wat do you reckon? It’s been a long time since I last visited London. Things are pretty expensive there I heard. My son is in London now and I am praying that my legs will heal quickly so that I can visit him. I think it shouldn’t be a problem getting local stuffs in Europe nowadays. I used to visit Chinatown at The Hague in Netherlands and was very surprised to see alot of chinese stuffs in the provision shops there and not too expensive too. I just remembered the cheese topping after replying. See, I’m getting old lah! Will go search for the recipe for you. I guess you must be very busy preparing for your Big Day. I pray that our Lord will watch over you and bless you with abundance. I hope you will like your yummy carrot walnut cake. Can u give me the recipe for ayam penyet,I have been looking for it all over the net but not able to find any. Your request has been noted, let me check if I have it. I am looking for Hum Cheem Paeng recipe. Do you have it? coild you please share? my kids and I really like it. I managed to get the Ayam Penyet recipe for you but you have to test it yourself. I’ll post the Hum Cheem Paeng recipe next week, hopefully I can find the recipe. first i wish you well. thanks for your generosity in sharing all these lovely recipes. i just love chai kueh the ones from penang . do you think you have one to share… i stay in Australia . what do you suggest as alternatives for yam bean as they are quite expensive here. you can use canned bamboo shoots,carrot with some black fungus or you can also add some fried taukwa strips. May our Lord bless you with abundance. Its been so long since i last messaged u. Been really very busy with the wedding preparation n all. Thank you so much for the wishes. All went well and I am already in London now with my husband. 🙂 Now I have plenty of time to try all of your delicious recipes. 🙂 wish me luck hehe and also Rose, i didn’t get a chance to thank u for the carrot cake recipe. i will definately gonna try that out.. thank you again. Have a good one and will keep in touch yeah. Am so happy to hear from you again. Thank God that everything went well for you and your hubby. I pray for God’s favour and hands of protection upon you both always. Have not been able to post recipes lately, been quite busy and also my mum is hospitalized. Will start posting soonest possible. Oh, i hope everything is ok and hope that she gets better soon. may the force be with u and family always. hi rose, love your site, just wondering if you have ‘Sar Kay Ma’ recipe, can you share, thank you. I hope your mum is better now. Take care! My mum is much better and resting at home. Give me some time, I’ll post the recipe for you. Thank you so much for your concern. Mummy is much better and resting at home. Also thank you so much for your feedbacks. Wish you a very pleasant trip back home. Your mummy must be longing to welcome you with open arms. Hi again …. sorry, my request is for the recipe for ‘wu tou van’ if you have it please. ur recipes are very good.can i have a recipe or durian cake?wit cream if possible.if possible not a sponge cake.thanks. I have posted a recipe for ‘Wu Tou Kou’ or Steamed Yam cake, which can also be pan fried. As for your ‘Wu Tou Peang’, looks like it is more glutinous in nature. Let me see if I can get something similiar. Thank you Hariz. I do have the Durian Cake with and without cream. Give me some time I’ll post it. Hi Rose, I stumbled across your site and warms towards you immediately. Rose, do you happen to have the recipe for Serunding? Thanks very much for your encouragement Angie. Thanks for your encouragement too Jen. I’ll definitely post the recipe. Cheerio! hi rose , do you have the recipe for chwee kuih (steamed rice cakes with preserved radish}. I long to eat them and they are not available in the middle east. thank you for sharing all your collection of fantastic recipes. Thank you Lily for your appreciation. This is the first time that im visiting your site…and I find it really wonderful and informative.Im a guy who believes in home cooked food and my wife and daughter loves it. Now with the many recipes here, I think they will enjoy their meals more. Rose I understand that you are recovering from breast cancer…a few of my friends took FLORESSENCE(canada)…they told me that it really worked for them.Their hair was still intact after all the chemo treatments….please do look into it. You are indeed a very kind and genrous person…GOD BLESS. Thank you very much for your compliment, I’m really very encouraged by supportive people like you. Thank you for your information, I’ll look into it. May the Lord bless your family with abundance. I got married with a Singaporean and visited Singapore several times. I love those Nonya Kueh very much. Thanks for sharing your recipe. I’ll try them out. My first try will be Ang Ku Kueh. May God watch over you each day and give you good health. Rose, thank you for all the recipes. I live abroad and practically salivate over your recipes. You are God send! I stumbled upon your page today and all these recipes really reminded me of home.I live in Norway and its hard to find food from Singapore.Thanks so much for sharing,now I can finally cook some comfort food 🙂 May the Lord bless you and keep you well. 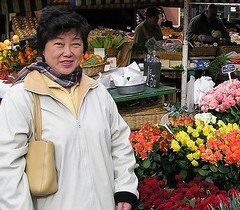 Hello Rose,found your website it looks fantastic especially since I found some unexpected recipes i.e lapcheong? I have a question- do you know how to do the green pickled chillis?The ones used for wan tan mee etc.I had to buy 1kg today.I am living in regional NSW with no Chinese grocery.Is it possible to make the fried dough stick that goes with kopi-o or porriage?I cannot remember the name.I cannot get the authentic Chinese ingredients i.e. alum,ammonia powder etc.What is high protein flour?Thanks so much. I think what you are doing is simply brilliant, you have brought so much joy and happiness to others like me not just with your wonderful recipes but your courage and determination to enjoy life brings so much hope and encouragement to many that you would never meet. For this, I just want to say a big big heart felt ‘Thank You’and keep up the good work. BTW, I wonder if you have a recipe for a steam fruit cake that I could have? Used to do this as it was my late parents’ favourite, haven’t done it for years now and can’t find my recipe too! I would really really appreciate it if you could recommend one to me. Thanks for your recipes! Very useful! Your blog is wonderful, thank you so much for your generosity in sharing all your recipes! It can be difficult finding recipes for traditional homecooked food, but you’ve put up so amny of my favorites as well as some unexpected, but no less delihtful, recipes for food from home. I’m currently living in Australia, and it’s wonderful to be able to make some of the food I miss the most. Thank you so much for doing this! I read about how you’re in recovery from rbeat cancer, and I hope that it continues to remain in remission. God grant you continued health. hi rose glad to know you,your recipe is wonderful,easy to cook n most importnt easy to remember,tasted excellent.thnks for all the recipes.but my husbnd love to eat Cucuk udang,i always fail to do so.i really hope that i can make his smile again with your new cucuk udang recipe. thank u a lot.bye n have a nice day. a friend has just forwarded yr website to me. i haven’t look into the recipe site yet but glancing thru the comments, i am delighted to hear the satisfying comments fm our fellow countryppl. wondering where r u located?, i am living in Houston and maybe we all can have makan n share column. Thank you and God bless yr dedicated work. Hello Rose, I was just browsing your website and I thought it was very remarkable. I love seeing the kind of determination that you have. I wish you the very best and pray that you will remain healthy and continue doing what you enjoy and in the process help keep our tradition alive. Awesome! Hey, Rose. I just browsed to ur website today. Just wanna let u know that ur recipes will save lots of people dinners! I mean ur recipes are real great and superb! It’s easy and tasty! Keep on with ur recipe invention! I am kooking for the recipe to make a sago desert that has santan and durian topping. Can you please help me? Thank you. Hi Rose, I’m a Singaporean student studying in Canberra, Australia and I am so glad to have found your website. Wish I had discovered it much earlier, though. It’s already my final semester! It seems like you have a huge following of cooking enthusiasts located all over the world. My appreciation goes out to both you and your son. Do continue to post more recipes as they come along! Cheers. Can you teach me how to make ‘bee pang’ – rice crispies? Esp. the process of puffing up the rice! Rose, Moon cake festival is just around the corner. I was trying to look for your moon cake recipe – the lotus paste ones and the white skin ones as well. Please tell me how to make the skin too. Looking forward to the recipes. I stumble upon your informative, outstanding website an hour ago and can i just say that i love you!! You have no idea how delighted i am to have found your site, especially for someone who lives half way across the world. Before today, my only source for mlaysian cooking is kuali’s website, which is not bad. but yours is interactive, where people can share recipes (well mainly yours…hahaha), you know what i mean. I hope this is not too much to ask, but do you know the recipe for acar nenas and gulai tempoyak (fav. of perak-ians)? I am praying that you are in good health. I’ve noticed that lately you have not responded to your messages. Thanks for your concern. I’m recovering well but my right wrist still hurts. Pray that it will heal quickly so that I can start posting recipes again. Cheerio! Hi Rose! I am a young father that loves to cook for my family and I think u had done a wonderful job by sharing your recipes. I will definately try out your recipes! Thank you very much and I really enj this site! Its good to hear that you are doing better. About the recipes i requested, it’s not acar nenas but paceri nenas. You’re a God sent to us Malaysians living overseas. I feel like I won the lottery when Google turn up your site. Malaysia Boleh… Makan! Rose Boleh too!! By the way (here it goes), you wouldn’t happen to have a recipe for kaya, do you? I looked over your recipes but couldn’t see one but it may be my eyes are giving out this time of the night… I tried by improvising several recipes but ended up with dried coconuty muck. At least I tried. Thanks for your recipes. I wish can have time to try them all, and share with the others how good the recipes are. BTW, have u been to Singapore and tried the Bangawan Solo’s Kueh Salat? I love it and just wish I can make it one day. Can u help me to find out whether u have the recipe? Thanks so much and wish u all the best! The recipe for Kueh Sarlat is posted under the category for nonya kueh. Just like to seek you approval to let me link your blog to my blog. I seen you recipes and absolute great. My friend told me about your website. I find your receipe very good and simple to follow. Now I do not need to crack my head as to what to cook everday. You have the receipes that is my husband fav. Hi Rose! I’ve made some of your soups and they’re really delicious! My sister in law had bladder cancer but the tumor had been removed and I made your soups for her. Thank you! I’d like to ask if you know how to make kim kuay kueh? Im gonna try it this Sat for a party. Thank you again! I have tried your recipe for pak tong kou, it was simply delicious and easy to make. I’m now looking for for a recipe for a fried radish cake (Cai Tow Kuay), can you help me please? Thanks!! Cooking or baking from some of these recipes that you have graciously shared is a blessing. I have an aunt who has also recovered from breast cancer and what’s more ironic is that, she too took all of her old cook books especially those handwritten ones and gave it to me.For me these are rear treasures and so are your recipes. She told me that handing down or rather sharing recipes is actually a blessing because you somehow make people happy with food that you have prepared with your own hands. May you be blessed with good health for many many years to come and you will surely be in my prayers. Why do you need to put golden syrup in your Almond Sugee Cake? Am so impressed by your generosity in providing so many recipes. To all of us who stay overseas, your recipes would be much help to us when we crave for local food. May God bless you with good health and live each day to glorify Him! Dear aunty ROSE, im frm Brunei n i loves to cooks.My sister getting married next month.Just wondering if you have ‘chocolate crunch cake and sayur asam’ recipes.She really like the cake and i want to make one for her.Pls..Pls..Hope u have the recipes.. I wish you the very best and pray that you will remain healthy.May god bless n watch over you each day. Thanks for your effort in making your very own recipes available for all. I wonder if you have katong laksa/ traditional laksa recipe. i have a question to ask you as i don’t seem to be able to find an answer after surfing the net for it. Is the colouring used in making mee koo and ang koo suitable for vegetarian consumption? Is the red/pink colouring carmine (which is a pigment of a bright red color obtained from the carminic acid produced by some scale insects, such as the cochineal and the Polish cochineal)? hi Rose,im from sydney i’ve been looking for perfect lapis legit and lapis surabaya recipes after i read your website i will try your recipe looks very yumm also i tried look for lapis surabaya from your website but i couldn’t find it.do you have the recipe of lapis surabaya?thank you so much for other recipes.i’ll send you massage again after i try the lapis legit. jessica here. I am looking really hard on the internet for the recipe of the nonya cocktail prawn roll which we always eat as tibits during the chinese new year.Was wondering if you do have the recipe. Would really appreciate it if you could really help. Thanks. Thank you for so many recipes here. I am so happy for all the chinese kueys here. I used to make chwee kuey for my children but I do not use the chinese radish. instead, I use the “kai lan chai” the black olive vegetables in the small bottle form and my children love the chwee kuey very much. How about trying it? Another ingredient for chwee kuey, if anybody wants to try it. May i know whether you have the recipe for “wa ku kueh” (colored steamed cakes)? My little boy loves it so much and I really want to handmade them for him although this can be quite commonly. Appreciate it! Take care. You are real wonderful lady – so generous sharing your recipes with the world. God Bless You Always! I don’t usually cook but I love collecting recipes. I have been given 2 cans of limpets for Chinese New Year. Do you have any recipe for me to use them? Thank You for sharing your recipes.I believe you have blessed many families with great tasting food. May God bless you with joy and long life. I got your link from a friend and I just wanted to say thank you for posting your amazing recipes. Everything happens for a reason and your story will truely inspire for many years to come. Hi rose. First of all, wishing you a good day and happy new year 2009. I stumble across your website when i was looking for chai kueh recipe. I am so happy i found it in your website together with so many other tantalizing recipes that i am sure my fiance will bug me to cook for him. However, i would like to inquire with you about pineapple tarts / cookies that is being widely sold during chinese new year. Me and my hubby love it very much but i can’t seem to figure out what is the correct method for mixing the flour and fat (margerine / butter). Some recipe says creaming which is with a cake mixer. Some say its rubbing in the fat and flour with fingers. I really hope you can help me with my dilemma here rose. By the way, do you have a recipe for pineapple tarts/cookies? Really appreciate it Rose and I thank you in advance for your kind generosity in sharing these valueable recipes for all of us. Do you have the recipe for apom bok kuah too under the category of Nyonya Kuehs? Its a type of pancake, about the size of a palm, unfolded and with some coconut flavour, soft in the center and with caramelised banana gravy. It would be fantastic is we can feedback each other and try out new recipes for nyonya kuehs too. I regret not showing interest in learning from my grandma who’s an authentic nyonya, now im trying every recipe and method to get it right. Hopefully, I can pass on some recipes and culinary skills to my kids too. AND! of course never missing out telling them about your website. Do you happen to know how to make this certain kuih? It looks more like You tiao kuih but it is shorter and has sesame seeds on it. It is slightly sweet. I used to eat them everyday for breakfast. Ever since I moved to Wisconsin, I am unable to eat anything from SE Asia. :) Please so share the recipe if you happen to know the kuih I am talking about. my friend likes oily food and I don’t know what to cook for her.Hopfully you can help me. I am looking for the receipe for braised dry mushrooms with dry oyster and moss….. this dish is very auspicious during chinese new year… do you have the receipe? Amazing! What a beautifull blog for those who love cooking Asia way. I just wanted to let you know how excited I was when I stumbled upon your blog and ran down the list of recipes here! Like all the other Malaysians abroad, I miss the food at home terribly and even though I’m usually a bit of a disaster in the kitchen, I can’t wait to start trying these recipes out!! Hello Rose, Greetings from Singapore.i have bookmarked your website since last year. i want to thank you and let u know i really appreciate all your good recipes. In particular, i made the Teochew Png Kuay with your recipe (glutinuous rice). I just read the comments and hope you are recovering well from the breast cancer. My sister (62 yrs old) had a relapse (Feb 2009) after having been declared clear of breast cancer. She was diagnosed of this 15 yrs ago. I found this organisation http://www.kg-senang.org.sg when i read a book “Cancer cured naturally / Betty L. Khoo-Kingsley. My sister is now very happy participating in the holistic activites of Kampung Senang. Maybe you want to read this book? thank you for your recipes. Love your website. Hope you are doing well. I was just wondering if you can let me know where i can find the pie tee mould and the roti jala mould? I am in Canada right now and haven’t been able to find it here. Thank you for your recipe of lapis legit, one day I will try it and will add preserve prunes, taste very delicious. X’mas greeting from Canada. God is good and merciful, trust Him and put your problem into His care and ask Him to remove the cancer from your body. Believe and without doubt in your heart and mind that He will do it. Faith comes from knowledge whether you hear it and study and self experiences. Ask the LORD to give you grace that your mind and your heart become one voice, this is what the Lord Jesus taught us when you say to the mountain to move from here to the sea, without doubt in your heart, it will be done unto you. Take courage and patient and live upright in His eyes. Upright living is very important because it is our defend toward the enemies. Fear not for God will help his children if we humble before Him. Don’t forget to thank and praise Him. Terima kasih ya Rose atas tulisan resepnya. hi, i’m looking for real putu piring recipe cos i’ve tested it Help!. Hi Rose, Discovered your website when I was searching for the Yam Cake recipe. Oh my, then I saw all these recipes my mum used to cook when I was growing up in M’sia. Not only did I make the Steamed Yam Cake, but I also cooked the Lotus Soup for dinner. Shall be trying lots more recipe! Glad that a friend recommended your website to me. I’m going to try the Hainanese Chicken Rice. Being far far away from home, your recipes definitely make me feel like home. Just wondering if you have recipe for Curry Laksa ? Your Website is fabulous. We love these sort of dishes but they are not always so easy to get the right taste. Your recipes are nice and simply set out. Thank you so much for helping some of us struggling cooks. By the way, we have tasted a sambal ikan bilis dish here in Australia that is really good but unlike all the ones on the net, it seems to have a sweetish tomato taste in it along with the chilli. Would you know a recipe like that? It would be much appreciated. Sorry, I made the comment above. By the time I realized I hadn’t filled out the name etc., it was gone. Wishing you pink of health. Greetings from Singapore. Just wondering you have receipe for steam glutinous rice (lor-mai fan)? Thank you ya.. Tried your png kueh yesterday. The skin dough, the more I put tapioca flour, the more sticky and heavy, like chewing gum sticking to my fingers. Still couldn’t form into a ‘non-sticky’ dough. Finally, do it bit by bit while wrapping. Look good but when it’s cooled, the texture is hard. Do u know why? Hope you’re in excellent health.A very good friend will be going for chemotherapy soon for breast cancer.Just wondered what she could eat or drink to help strengthen her system.Would appreciate much your sharing.God bless! I can see your full list of recipes has loads of varieties but one dish is missing – our authentic Pg curry mee. Would appreciate if you could share with me. Best you should make changes to the webpage title Full Recipe List Rose’s Kitchen to something more specific for your content you create. I liked the post all the same. do u have the recipe for western black pepper sauce for pork and chicken? just simple recipe,somebody taught me black coarse pepper,sesame,water and oyster sauce. as for chicken,its plum sauce,thai chilli and tomato,but wat is the proportion and hw to prepare i dont know,pls help,thanks. I’ve a workshop in S’pore Prison under the yellow ribbon project. Would you like to be our consultant? Teach the inmates on how to make the Nonya Kuehs? We can talk in details if you interested. I like yr blogs very much and thank you for sharing all this wonderfull recepies with us. hi rose, I love to bake pies….are there any pies recipes? I do accept as true with all of the ideas you’ve presented in your post. They’re very convincing and can definitely work. Still, the posts are too brief for beginners. May just you please prolong them a bit from subsequent time? Thanks for the post. Wishing you a Blessed Chinese New Year fills with joy, laughters and lots of fun. I need some advice on pineapple tarts. I baked some on 21/1/12 but the tarts to have mould last evening. What is the possible causes. I had cooked the pineapples for 3 1/2 hrs. Wish you a Happy and Blessed CNY. If your pineapple jam is well cooked, it should keep for few months. As for the tarts turning mouldy, did you cool the tarts well before packing? do you have good roti prata recipe? I tried your crispy prawn fritter recipe and they came out perfect! Thanks for sharing! I chanced upon this website when I google around for recipe for wa ku kueh (The colour steam cakes that pasar malam sells). Do you have the recipe? I tried 3 times all not success. I will post the recipe when I am back in town. Right now I am travelling. hello rose, i wish to thank you for your generosity and unselfishness in sharing all that you know in the kitchen. i love to cook and experiment with something new whenever i am not so tired (i am 66 years old and often feel tired). in fact i was looking for a recipe to make kueh dadah one day when i stumbled into your site. how glad i was! you are very neat and meticulous and i can see your sincerity in wanting to impart what you know. i tried the kueh dadah skin, but unfortunately i am still not able to do it. don’t know how now. i may be wishing upon the stars, but if you are not busy, can u email me to tell me exactly what is the secret for making the skin? thank you and may god bless you always. may you always be in good health. I would like to make almond bean curd but have no idea how to go about doing it. Do you have any idea? God bless you. Hi Rose am so glad to see the recipes you provided . Recipes I love to cook but I dont have the recipes. How I can I obtain a written recipe or book about your recipes? How I love to have a copy. My address Pamela V. Mullaneda, 556 Westside Avenue, Jersey City, New Jersey, 07304 USA. Thank you very much. Hi Pamela, appreciate your visits and comments. Right now I am too busy to publish a cookbook but might consider in the near future. You can print out the recipes from Roseskitchenette.com. Blessings. Thank You for sharing, We consider it is a gift to mankind from you. Hello to every single one, it’s genuinely a good for me to go to see this web page, it consists of helpful Information. Looking hi and lo for apom balik recipe that uses coconut flakes and topped with 2 slices of bananas. There’s a hawker that sells it in Penang along Burmah Road. Please do not mistook it for Buan chian kueh. módu již skoro 20 roků a jedná se o hodně luxusní oblečení. Uncle Sam UNCS móda je také vyjímečné tím, že distribuje nadměrné velikosti. Je to oblíbenou značku oblečení nejen kulturistů, ale celou řadu produktivních lidí, kteří se mají zájem trochu odlišit. a volný čas na českém trhu. Uncle Sam za ty nejvýhodnější internetové ceny. The clarity to your publish is just excellent and i can assume you’re an expert on this subject. Fine with your permission allow me to grab your feed to stay up to date with drawing close post. Thanks one million and please carry on the gratifying work. Hi Rose,do u hv e recipe on makmur. Thks! simply double suction stop in in that respect to add gone through– not so lately any more– traveled by quite an a while ago a million shown CSEs. It’s effective for some people and others it’s not. take the proper precautions to avoid food-borne illnesses. to make them grow- unnaturally fast. hi Rose, I happen to come across your blog. Do you have a recipe for rock buns? I remember making this when I did Home Science in school but I have misplaced my recipe book. Can you please share with me the recipe? pls refer to the recipe posted in roseskitchenette. Rose, thank you so much! Your prompt reply is much appreciated. Keep well! Dear Rose, Gong Xi! Gong Xi! I recently received a bottle of hong zhou chiu (chinese red wine). I need your help to share with me your recipe to cook this rice vermicilli and pork belly in red wine. I know that it is usually cooked with chicken but I much prefer a cersion that my grand-aunt used to make with pork belly instead. Thanx! Hai ros ,how can i get recipes in pdf. Hey Rose! So I’m a frequent visitor to HK and my fave thing to munch on are the kai tan chai that are sold in the streets and when I’m home I’m always craving them. Post a recipe please?? Toma un vaso de éste jugo ϲada mañana durante ᥙna semаna y verás resutados sorprendentes еn tu cuerpo! Hi Rose, your website is no longer accessible?